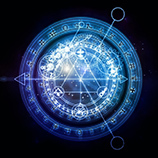 Astrology is one of the most ancient arts in the world, and has been essential to both the low and the high parts of society as they make important decisions. 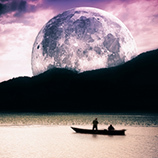 In our last blog, we shared two of the first great astrologers, an anonymous foundation-builder and the Islamic Masha’allah. Both of these men were instrumental in creating the western astrological tradition. 1. The father of modern astrology worked in the late 19th and early 20th centuries. His name was Alan Leo, and people credit him with reviving astrology after it had gone into a long period of decline. He made astrology more accessible by simplifying it and gearing it toward character analysis rather than event predictions. He also introduced a new spiritual lens to astrology via his Theosophical beliefs, standardized natal chart interpretations, and founded several astrological societies. 2. Originally from Antioch, Vettius Valens was a famous Roman astrologer who set up an astrology school in Egypt. In second-century CE, he wrote the Anthology, an important collection of books on astrology. He was highly regarded in Medieval times – so popular, medieval astrologers and beyond wrote fictional stories about him consulting for the Prophet Muhammad and Emperor Constantine – men who lived after Valens was dead. Astrology has a rich, powerful heritage. The Astrology Boutique in Chicago makes this ancient art available to you today. 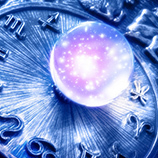 We offer astrological readings, palm readings, tarot card readings, and dream analysis to Chicago and Michigan. When you need a safe place to explore the beyond, contact the Astrology Boutique for an appointment. We can’t wait to meet you!